If you’re looking for the best design blogs to follow… you’re in the right place. Get your RSS reader warmed up and subscribe to these blogs for daily updates of Graphic Design Inspiration, Branding advice, Typography tips and Web Design Tutorials. I’ve spent the last few days curating this list from my Feedly collection and suggestions from other designers – I’ve certainly come across a few fantastic resources in the process. Inkbot Design’s Blog – https://inkbotdesign.com/blog – We focus on articles aimed to help young designers, along with a few here and there to help my clients with their own brand. Creative Bloq – http://www.creativebloq.com/ – “Your daily dose of design tips and inspiration” perfectly sums up the Creative Bloq – be sure to bookmark this one! 99Designs Blog – http://99designs.co.uk/designer-blog/ – yeah, we all hate crowdsourcing and it’s unethical approach, but the 99Designs blog can be a regularly engaging read. I’ll give them that. Designer Daily – http://www.designer-daily.com/ – Blogs updated every day, like this one, are perfect for catching all the special design deals. Roberto Blake’s Blog – http://robertoblake.com/articles/ – One of only a few designers to embrace video that I’ve come across, I recommend subscribing to his channel. Creative Roots – http://creativeroots.org/ – A brilliant approach to art and design inspiration from around the world, filtered by countries. Design Juices – http://www.designjuices.co.uk/ – Features a bunch of great articles in general, but what stands out here are the frequent interviews with designers. Spyre Studios – http://spyrestudios.com/ – A favourite web design and development blog, Spyre Studios offers some intermediate web tutorials amongst general design inspiration and advice. Vandelay Design – http://www.vandelaydesign.com/blog/ – One of the most popular web design blogs, Vandelay Design, provides a breadth of articles of interest to most designers, both web and print based. Web Design Ledger – http://webdesignledger.com/ – Continually interesting publication, focusing on many of the technical elements of web design. Spoon Graphics – http://blog.spoongraphics.co.uk/ – Maybe better suited in the general design category, but Chris’ blog has some great web-based tutorials. Boagworld – https://boagworld.com/blog/ – An excellent resource for both web and digital advice from Paul Boag. Web Designer Depot – http://www.webdesignerdepot.com/ – a hugely popular web design blog that seems to cover all the topics well. UX Magazine – http://uxmag.com/ – Defining and informing the complex world of user experience or UX. The Design Blog – http://thedsgnblog.com/ – With great attention to detail, the Design Blog always provides a great hub of visual inspiration. Every day there’s a particular type of post, such as “Designer of the Week”, “Friday Freebies” etc. so keep checking in! The Logo Smith’s Blog – http://imjustcreative.com/blog – I’ve been a longtime fan of Graham’s blog and his writing style – regularly a reliable resource of inspiration, information and educational posts about life as a freelance graphic designer. Logogeek’s Blog – http://logogeek.uk/logo-design-blog/ – Ian aka “Logogeek” provides an excellent resource of well-written, informative articles for designers, especially those who specialise in logos and branding. Logo Designer Blog – http://www.logo-designer.co/ – A great blog I only came across recently, with a clear focus on logo design and branding. Richard Baird’s Blog – http://www.richardbaird.co.uk/blog/ – Big fan of Rich’s work, an almost bigger fan of his articles and writing! Fonts In Use Blog – http://fontsinuse.com/blog – if you haven’t heard of ‘Fonts In Use’, check them out while your own their blog – it’s a fantastic idea where designers work out the fonts for use in specific projects or images. Type For You – http://www.typeforyou.org/ – A blog on typography, with news, interviews and always beautiful font inspiration. It’s Nice That – http://www.itsnicethat.com/ – “Championing creativity since 2007” is their tagline, so you know they’re established as a design hub. Good Design Makes Me Happy – http://www.gooddesignmakesmehappy.com/ – Another that should be fairly clear. If you like good design, you’ll love this blog. Design Clever’s Tumblr – http://designclever.tumblr.com/ – a beautiful Tumblog of every design imaginable. Co. Design – http://www.fastcodesign.com/ – Although they pay a lot of attention to the design side of things, I appreciate more wide-ranging articles on everything from geeky gadgets to global interest posts. Justcreative’s Blog – http://justcreative.com/ – Again, a blog that could probably go in the design section, Jacob provides an excellent resource for young designers looking to get into the business of design. NuSchool – http://thenuschool.com/home – Some of the absolute best articles providing education for creative professionals. Worth the read! Clients From Hell – http://clientsfromhell.net/ – Think you have a bad customer, think again. Spend a few minutes here for a laugh/cringe. Thank you for this amazing and insightful post. It was really interesting and a great collection of a blog post on graphic design. I think no need to go anywhere, basic to advance all are available on your blog. This is a very helpful post. Keep sharing. Great article, Stuart! have bookmarked your post. you can also include creative mark blog in your graphic design section. I love your efforts on on this topic.i really appreciate your work. both website are suppose to share design inspiration stuff since 7+ years. Great and thank you for your hard work . So useful and practical for me. Thanks for your excellent blog, nice work keep it up thanks for sharing the knowledge. You are an Angel, thanks a lot for putting up such an extensive list of graphic design companies and websites. It saves so much time and effort. God bless you. Thanks for sharing the useful post about the graphic designer. very great and full of fantastic information. I love all the articles on your website it is really helpful, and your website is awesome, and as a Logo Embroidery Polo Shirts Service i have checked out (https://www.apparelnbags.com/logo-embroidered/polo-sports-shirts.htm) mention resource for Embroidery and print related service which will help to other for printing Apparels. interesting post. thanks for sharing it. informative one. thank for the sharing designing informaton…..
Great blogs you have mentioned and its very helpful for us. Thanks for sharing it with us. Holy crap! What a great collection! Thank you for sharing! Thanks for sharing. Was really very useful. These are amazing websites, thank you very much for sharing these sites with us, very useful article. Thank you for sharing such a great list. This post is really helpful. Great collection . Thank you very Much. Hi Team Inkbot, I am following your design related stuff on regular basis and really appreciate your contribution to the blogging industry. I am already following some of them but find some new blogs also to add to my list. It’s really awesome information for the designers. Thank you very much. very nice article. thanks for sharing… keep updating such more post! 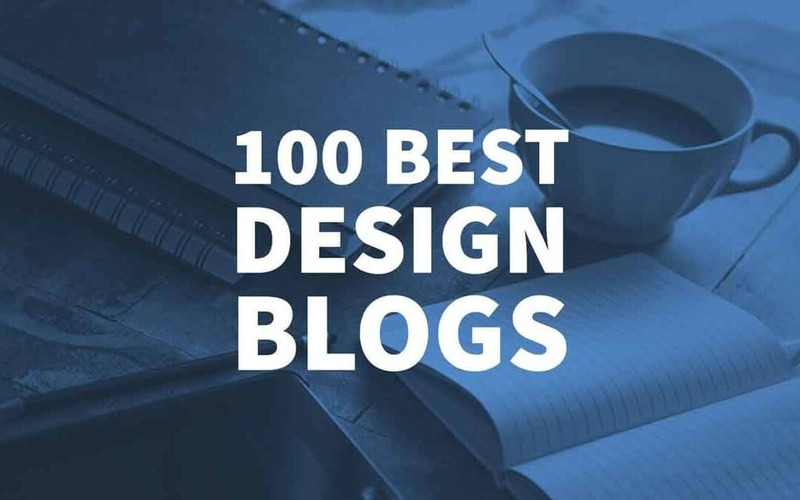 It’s really a huge list of designing blogs, really interesting and fond of visiting the ones where i get the inspiration of designing new ideas. I appreciate your analysis in making such a good list. The list is pretty exhaustive. Although I follow some of them – hongkiat, creative bloq, swissmiss, designerdaily – and their posts are really engrossing. My designing team at YourDesignPick follows them regularly to stay updated. Great list. I like mosaic-on.com and transfer.design for generic design too. It’s a HUGE list of design blogs. I really appreciate your research and grab the ones which have something interesting to provide the users. I love to read your post & bookmarked it on my system. Thanks for your great collection. It is a lot of resources. It will help us to get valuable books. Thanks for sharing this. Amazing post! You are really awesome, because you are hard worker. This post is a big gift for us. All hundred design tools of a blog is reallly useful to make a complete blog! Graphic Design Junction is an awesome tools. I will make a blog using those tools, can not wait anymore. What a knowledge-full post – All top notch Graphics blogs at one place. I’m running my Signs business and always follow the latest graphics trends. Knowledge is the power Thanks for the sharing cool stuff as always. You have posted huge list. it will help me a lot ..
Definitely, a very informative blog for me as I am also a graphic and web designer. So many links at one platform helped me to get a quick insight without wasting much time in exploring these blogs manually. Technology is always changing and t keep yourself updated is the key to become a great designer. Thanks a lot for sharing. Probably, will share the link with my other colleagues as well. Have a great day. Thanks for sharing latest blogs list. It is very useful and informative for me. Thanks for the great list and inspiration. Thanks for sharing – great list of resources! Great list, I haven’t heard about many of them before. I will definitely give some of them a read. Thanks for sharing. Thanks for this wonderful and informative article. A lot of useful blog collections. Truly it’s going to help a lot of individuals for their success. Once again thanks team for an amazing work. Quite a resourceful list of useful blogs. Thank You! Yes, you right this is very important for logo designers perfection is most important than price. Clients want unique and perfect logo design with nominal price, for their brands which look different but if you want quality than price is must be high and if you concentrate on price than quality does not matter. Logos are most important for brands, It is not only a name it is as s person who introduces your brand. If you make a cheap logo design than people not give you positive replies on your design and your logos are not sold in the market also your reputation will be down. What will I do with the rest of my day after following 100 blogs? Thanks…a great list of helpful resources! Thanks for this impressive list, for compiling these wonderful design blog! I will definitely use it and bookmark this list. For taking a few days to compile this list is truly amazing. Keep it up and we readers are really thankful! http://www.graphicsfuel.com/ is not on the list.. This one should make the list. Hope so. for new, exciting typography & interesting interviews, etc. Inspiration Overflow is a daily design inspiration blog that providing website, graphics, multimedia inspirations. Damn! What a great resource. I have a ton of freelance blogs to subscribe to. Thanks for including my blog, Stuart! I appreciate it! very nice article. full of fantastic information and resources. How on earth have I not come across This is Colossal before? Thanks for the heads up – bookmarking now! Fantastic list — I would also include the Type Wolf blog. Thanks so much for sharing!! I couldn’t agree more. I was about to recommend Type Wolf blog as well. Thanks for including Just Creative, Stuart. Don’t forget about http://www.YCN.org great for illustration and animation. Please they do free talks and websites. A website I can’t live without http://www.boagworld.com. Gives loads of great digital advice from responsive web design to writing content and beyond! Fantastic article, Stuart! I just added several of these blogs to my feed. I also took a gander at your portfolio. Love your design style – especially the Helix and AE+D identities. I’ve been writing about the brand strategy and identity processes on my firm’s blog – http://www.ignytebrands.com/blog. Check it out when you get a minute… I think our blog would make for a nice addition to your list. Designsphere is another I haven’t heard of, thanks for the heads up – will check it out now. Haven’t even heard of that one Iggy, will check it out now. Thanks! That is a massive list, most of those are new to me, I love 99designs though. Thanks for putting this list together I saved this post to my bookmarks bar for when I start looking to create a brand for my blog. Thanks for providing such a massive list.